Representative of the abundance of and diversity in local filmmaking, Minnesota Made returns with a slate of must-see new films from Minnesota-based and Minnesota-native filmmakers. For our home-grown juried competitions, awards are given for films that exemplify standout achievements in feature length documentary filmmaking. Morgan Adamson is a scholar-practitioner who teaches at the intersections of film and digital media, critical theory, and cultural studies. Her forthcoming book, Enduring Images: Towards a Future History of New Left Cinema (University of Minnesota Press, 2018), examines how cinema became a form of collective resistance within international New Left social movements during the 1960s and 1970s. It argues that New Left cinema is a site to examine, through the lens of struggle, the reshaping of global capitalism at this pivotal moment. She has also published on the relationship between culture and finance capitalism, along with related topics. She is currently working on a documentary essay film that addresses the promise and pitfalls of architectural utopianism in Minneapolis during the 1960s and 1970s. Before joining the Macalester faculty in 2013, she was an ACLS New Faculty Fellow at Duke University. 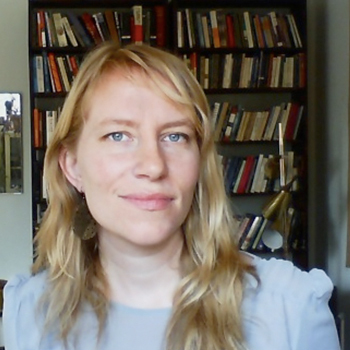 She received her PhD from the department of Cultural Studies and Comparative Literature at the University of Minnesota in 2011. 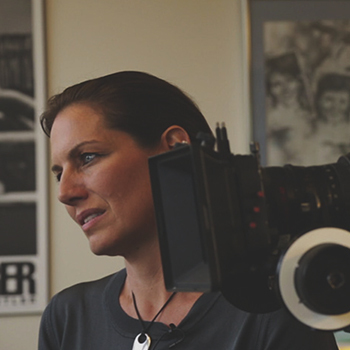 Director Rebecca Carpenter is a director and artist whose film work, including the documentary feature REQUIEM FOR A RUNNING BACK, has screened theatrically, at festivals, and in specialty screenings nationwide. In addition to directing four films and live theater, she has produced media in various capacities for Fortune 500 companies, nonprofits, internet and broadcast, including A & E Biography where she was an Associate Producer. She also has a background in feature development, working professionally as a Story Analyst for Twentieth Century Fox and Warner Bros. Pictures. A multi-sport athlete, she was born in Minneapolis and competed collegiately in the sport of rowing. She lives in Los Angeles, CA.